I’m particularly excited to be sharing this with you today because this is the first product made by ChrisiL, a company created by my brother-in-law Chris and his wife Nasil. 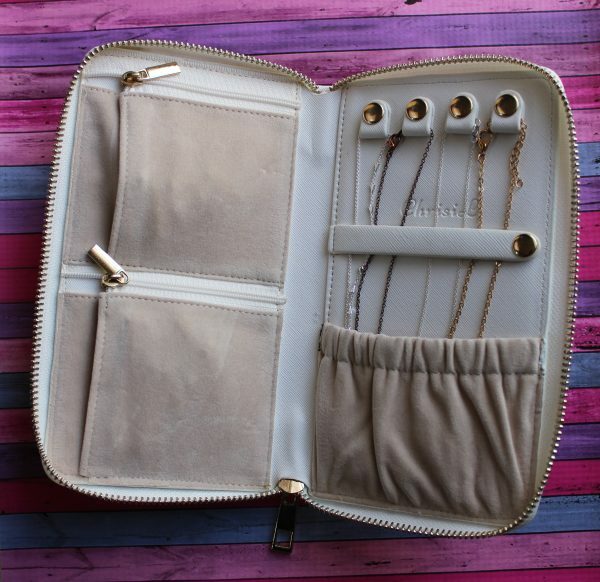 Nasil designed the travel jewelry wallet herself after being fed up with a tangled necklace – a struggle we all know too well! Nasil and Chris are avid travellers so it makes sense that their first product would be a travel related product. While talking with some friends recently, we all agreeed that keeping the pieces you wear most often in your travel wallet 24/7 only makes sense. 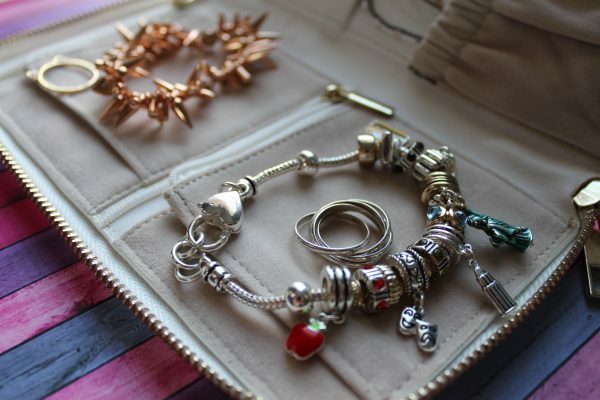 So while intended for travel, this jewelry wallet is every bit at home, at home, as it is on the go! and bottom pouch to keep the rest of the necklace and any attached charms safe and secure (and away from the zipper closure). The left side has two pouches with zipper closures that are perfect for rings, bracelets and earrings. Once safely stored inside you know that your pieces are not only safe from the risk of loss, but are protected in the soft velvet fabric that won’t dig or pick. Then it’s as easy as zippering closed and tossing in your carry-on or suitcase! Not only is the travel jewelry wallet super functional but it’s also beautifully made. 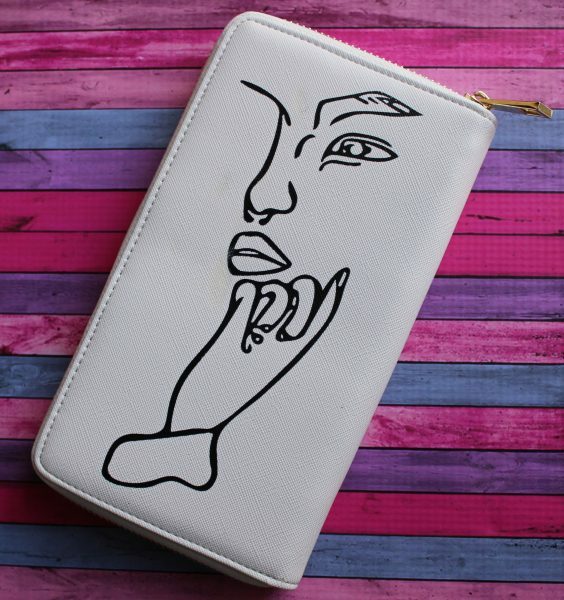 My wallet is from the Renee collection which features art designed by Nasil’s sister Monica on the back. 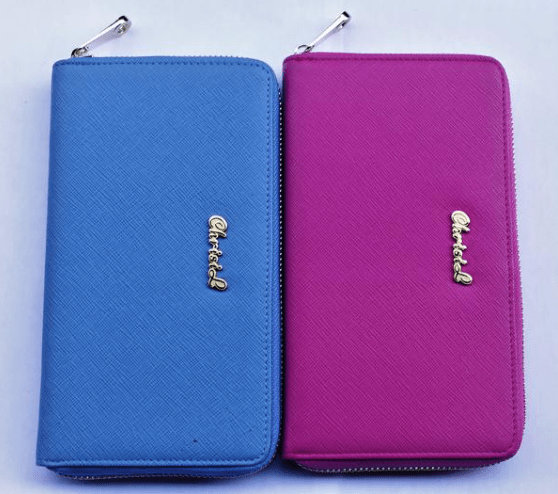 Besides the Renee collection, they also offer a basic collection with travel jewelry wallets in pink and in blue which are plain on on both sides. 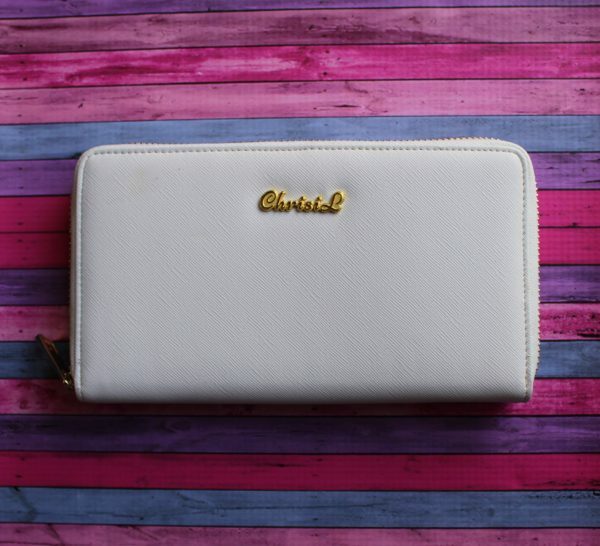 If you have someone on your gift giving list that seems to have everything, enjoys travelling, and/or who loves collecting jewelry, the ChrisiL travel jewelry wallet is the perfect gift idea! Everyone who I’ve mentioned the wallet to has said they need something like this. 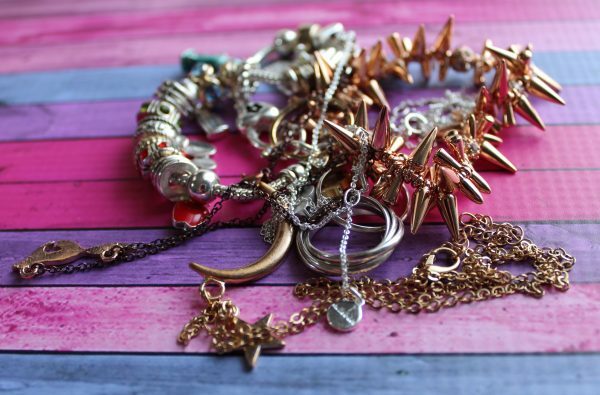 And having spent way more time untangling jewelry than I care to mention (in fact I spent 10 minutes untangling a necklace to take the photos for this post! ), I am so glad a product like this has come into my life. My jewelry box is white so my wallet looks right at home sitting on top of it filled with my most used pieces. 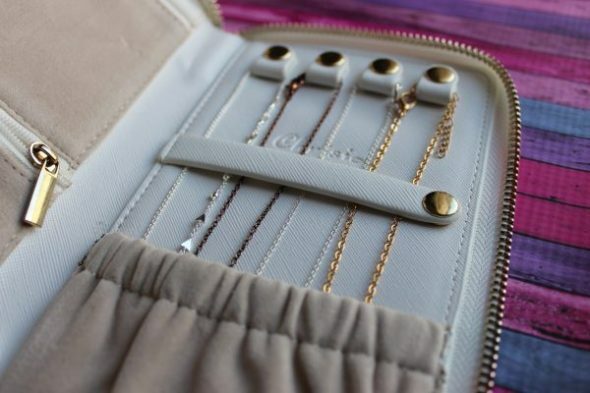 I would love it if you would follow them on Instagram @chrisiljewelrytravelwallet and “like” them on Facebook https://www.facebook.com/chrisiljtw to help them get the word out about this fantastic product! Disclosure: I was given a ChrisiL Jewelry Travel Wallet in exchange for my honest review and that is what this is. I will never waste your time-sharing things I don’t honestly like. Oh this is perfect. I do really struggle with this every time. 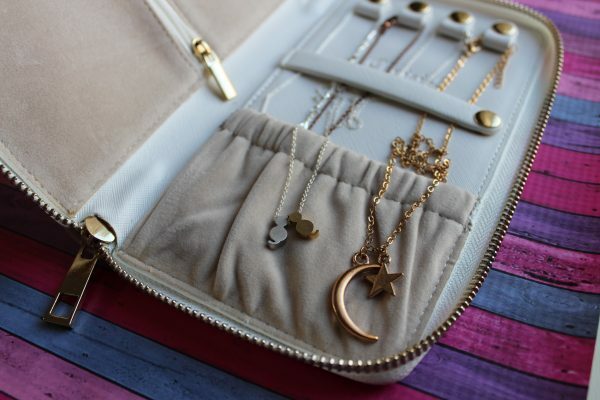 I have necklaces I love that I won’t even travel with because it’s too hard to untangle them every time. I know exactly what you mean, I’ve even broken an expensive necklace trying to untangle it before, it’s heartbreaking.